Stop Wasting Tech Dollars and Start Getting Agents on Board! Are you investing increasing amounts of time and dollars in securing the latest, greatest technology for your agents, only to see your efforts go to waste due to poor agent adoption? An ongoing broker challenge, engaging agents in new technology is often costly and ultimately futile. In our upcoming Broker Best Practices webinar, “Stop Wasting Tech Dollars and Start Getting Agents on Board!” sponsored by DocuSign, brokers and managers will have an opportunity to find out what the road blocks are when it comes to technology adoption and how to overcome them in order to boost agent productivity and company revenues. The webinar will take place on Wednesday, November 4, 2015 at 3 p.m. ET / 2 p.m. CT / 1 p.m. MT / 12 p.m. PT. Space will be limited. Register now! Speaker Jodi Dines is the chief information officer for the Real Estate One Family of Companies. Dines oversees Internet lead generation and manages the information technologies and websites for all brokerages, agents and affiliates. Speaker Tom Skiffington is broker/partner of RE/MAX 440 and RE/MAX Central. Skiffington is a certified e-PRO® and member of RECS specializing in one-on-one technology coaching for agents. He serves on the Board of Directors for the Pennsylvania Association of REALTORS® and is an active member of the REALTORS® National Marketing Institute® and the Residential Sales Council®. Moderator Verl Workman is the founder and CEO of Workman Success Systems. Workman has delivered over 1,000 seminars, webinars, keynote addresses and other motivational messages to real estate and sales professionals worldwide. His experience in all aspects of sales, marketing, promotion, management and technology has empowered thousands of professionals to expand their knowledge and achieve their goals. DocuSign, the sponsor of this webinar, is the official and exclusive provider of e-signature services for members of the National Association of REALTORS® under the REALTOR Benefits® Program. DocuSign provides a safe, secure way to electronically send, sign and store real estate documents. DocuSigned documents are legally binding and backed with an audit trail. For live coverage of the webinar, follow @RISMediaUpdates and tweet RISMedia using #RISWebinar. 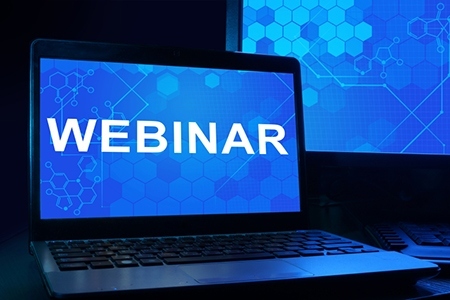 In addition to our Broker Best Practices Webinar Series, RISMedia also produces a monthly Agent Webinar Series, which draws over 1,000 agents from across the country eager for exclusive insight from the industry’s most profitable professionals. To view last month’s agent webinar, “Social Media Myths, Mysteries and Magic: Stop Faking It and Start Closing Business!” visit RISMedia’s Housecall.